Just wishing everyone a Happy Easter! 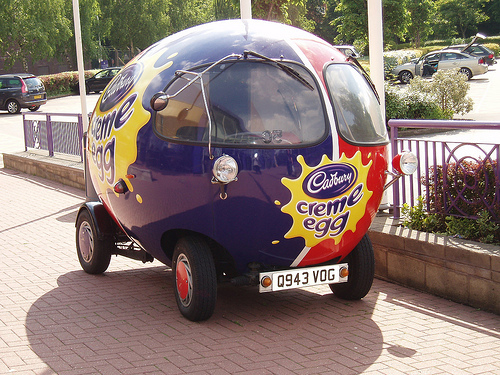 With that being said, how about a picture of the Cadbury Creme Egg car? Delicious! Here's a video of it in action.